Movies…. the lazy man’s (or woman’s) books? Well so some would say. Not me!! There is the age old argument (well I guess not age old but only as old as movies), of whether you should read the book then see the movie or vice versa. I think probably most would say they like to read the book then watch the movie. I’m the opposite. I much prefer to see the movie then read the book. Why, you ask? Very simple. I’m not disappointed as most people are. If I watch a movie and really enjoy it, I will then go and get the book and read it. I don’t love the book any less, in fact, I probably love it more because I already have an insight into the storyline and the characters. The book just gives a more indepth depiction of them. Those who like to read the book first, are invariably disappointed because the movie didn’t live up to expectations. I honestly believe that no movie can live up to our perceptions for a few reasons. Our imagination has already put a face to these characters in a book and chances are that what the director has imagined a character to be, what you’ve imagined, what Joe Bloggs down the road imagined and what the author actually described are a million miles apart. We don’t share an imagination so we really can’t be expected to be happy with the characterisation brought to life. There is also the lack of time to bring the story to life. If we put as much depth into every movie as there is in books, every movie would go for 12 hours if not longer and we’d have lost interest a long time before the closing credits. It is impossible to put as much detail into a movie as you can a book. In a book we can read a character’s mind as they tell us what they are thinking. That’s so much harder to portray in a movie without having an annoying narration or the characters looking like they have split personalities and unless you’re watching Me, Myself and Irene, you probably don’t want to see that. I will admit that some movie adaptations of books are so bad, you barely recognise you are watching the same story. One of the worst offenders I have ever seen would be the screen version of Virginia Andrew’s, “Flowers in the Attic”. For those of you who don’t know it, it had the same sort of overwhelming popularity as the new Fifty shades of grey series (which I haven’t read). If you were on a bus, train or airoplane, you could be guaranteed someone sitting near you was reading it. It was a total obsession for me. I had read the trilogy, then the prequel and the sequel. I loved the story..( I just went onto Wikipedia to look at what year the movie was made and read the synopsis of the story and am now doubting my sanity at how good a series it was.) I guess when the main characters names are Chris, Corrine, Cathy, Corey and Carrie, you should expect something a bit weird but at the time, it was huge, selling over 40 million copies worldwide. Anyway, back to the movie. I have never seen such a piece of garbage in my whole life. There were 3 initial books in the series and they tried to roll them all into one, changed the whole storyline and basically made a z grade movie no one would want to watch. I was screaming at the screen when it was on. Obviously the director had never read the books.. I couldn’t believe they had taken what was, an immensely popular book, whether deservedly so or not, and made such a clanger out of it. It put me off seeing my favorite books made into movies. Now other movies that have been made from books, I have been told were shocking adaptations but I enjoyed them.. Everyone I speak to who read “Memoirs of a Geisha” said it was awful and they were totally disappointed in it. I, on the other hand, loved it, but then I’ve never read the book. I keep promising to read it one day to compare. I took it on face value as it was. I had no expectations of what to expect. Generally, people who have read the Stephen King fiction book, The Green Mile were thrilled with the movie version of it (or them). I again have to confess that I haven’t read them, but I’ll take the word of those who have. They felt that the characters were portrayed as written and that the storyline wasn’t compromised in any way. A big thumbs up to the director, Frank Darabont for getting it right. It’s a rarity. He also directed Stephen King’s “The Shawshank Redemption” with the same credibility. We like you Frank!! I saw the Divine Secrets of the YaYa Sisterhood before I read the books. Amazing amazing amazing.. but you’d expect me to say that one of my favorite movies. I have since read the books after falling in love with the movie. The only criticism I would aim at it, was that they could have planned for a sequel as the movie basically covers the trilogy of books. We miss out entirely on the other children’s lives growing up while we are caught up in Siddalee’s storyline. The story of Baylor in the books was brilliant and unfortunately, we never meet the other kids as adults. In saying that, it is the only criticism I would give it. I loved the movie, wholly, soley and completely. Besides, any movie with James Garner in it has to be good doesn’t it?? Hubba Hubba!! Another of my favorite movies was Steel Magnolias but it was taken from a play, not a book. The character of Shelby was actually based on the sister of the playwright, Robert Harling Jnr. Now this is so close to the original that it’s not funny. I once played the Dolly Parton role of Truvy Jones in an amateur stage production of the said play. This has been so well adapted, that I can repeat my lines along with the actors (yes I knew everyone else’s lines too). The only difference is that extra characters were added to the movie that didn’t appear in the play. The play is only the six main women, Truvy, Ouisa, M’Lynn, Claree, Annelle & Shelby. We heard all about Drum, Jackson, Sammy, Owen, Spud, Jonathon & Tommy but we never saw them in the play. They neither added nor detracted from the movie as far as I’m concerned. I think the fact that Robert Harling Jnr was the person responsible for the screen adaptation had a lot to do with it being so brilliant.. Just for a bit of trivia, he also appeared in the movie as the preacher.. and the doctors and nurses you saw in the hospital scenes?? They were the actual doctors and nurses who looked after his sister Susan (the real life Shelby) during her illness. Okay.. my little trivia moment is over. Some of the old classics were brilliant however they did gloss over anything that the Hollywood powers-that-be thought was unacceptable. While it is sad to see some of the most thought provoking moments of books cropped from movies, we have to remember that the world was a different place back in the heyday of Hollywood and some things would never have been accepted as they are today. Remember, we’re talking about a time when people fainted and screamed during viewings of the Wizard of Oz when it turned to color. A time when gay actors had to get married to cover up their homosexuality. It was a very different era. 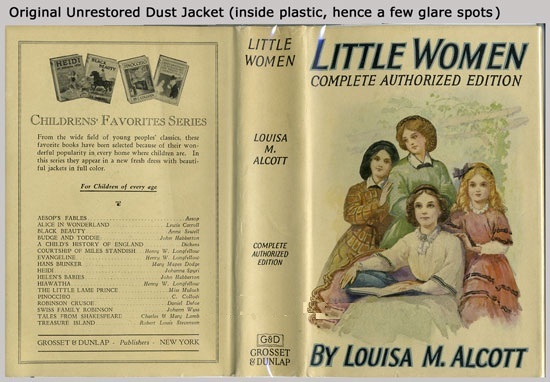 Some of my favorites book/movie adaptations of yesteryear would have to include, The Caine Mutiny, To Kill a Mockingbird Jane Eyre, Wuthering Heights, and of course any version of Little Women. Later ones include, The Shawshank Redemption, Bridget Jones’ Diary, The Joy Luck Club and My Sister’s Keeper. Although the movie is heartbreaking and I sobbed all the way through, the book has a different ending so if you haven’t read it and enjoyed the movie, read it.. You’ll be hysterical. The ending is even worse and that’s all I’m saying about that. Just read it. What are you… a movie then book person.. or a book then movie person?? Personally, I’m the former. I’m having a slight anxiety attack at the moment over a similar though not exact dilemma. The film version of my very favorite musical of all time is due out on Boxing Day. I’m terrified they won’t do Les Miserables justice and I would be devastated. Thankfully, from the trailers I’ve seen so far, I think they’ve done it right. I never really took to the movie version of The Phantom of the Opera musical. Fingers crossed I won’t be disappointed over Les Mis.. It stirs my soul like nothing else can.. I think I lived in France during that era in a previous life. Anyway, let me know which way you prefer to view and read… and let me know what you think are the best and worst adaptations ever seen. I’m always interested in other opinions.. I’d be amazed if anyone names Flowers in the Attic as a favorite lol. I am a movie then book girl, I learnt a long time ago like.you that it destroys the.movie.otherwise. I loved both the book and bbc versions of pride and prejudice, Emma and many more. Harry Potter series were the worst adapted. Loved the books hated the movies. The actors were a bit meh. And I know they were kids but I have seen brilliant child actors. And the parts of the story they left in and out were honestly bizarre. The fact they kept changing directors I don’t think helped. 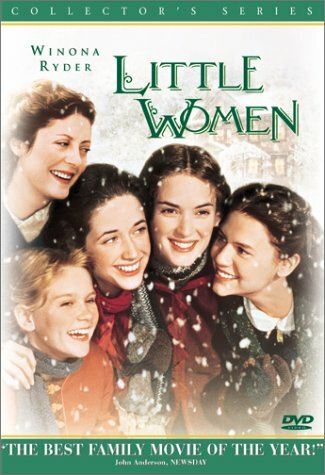 But there are some movies that I liked better than the book like rum punch, (Jackie Brown) and Little women. Jackie Brown is definately my favourite movie adaptation of a book. I don’t know you I swear it. Harry potter was huge. Think it’s time I lent you my copies and sat you down to watch the movies :-). Although I have to agree I was disappointed with most of the movies. Those that had t read te books thought they were great but those that dd generally hated them. The butchered the story lines, played jump rope with the characters and left out many crucial things. I also think one flew over the cuckoos nest was very well done from book to movie. Not the most enthraling book or movie but pretty well done.